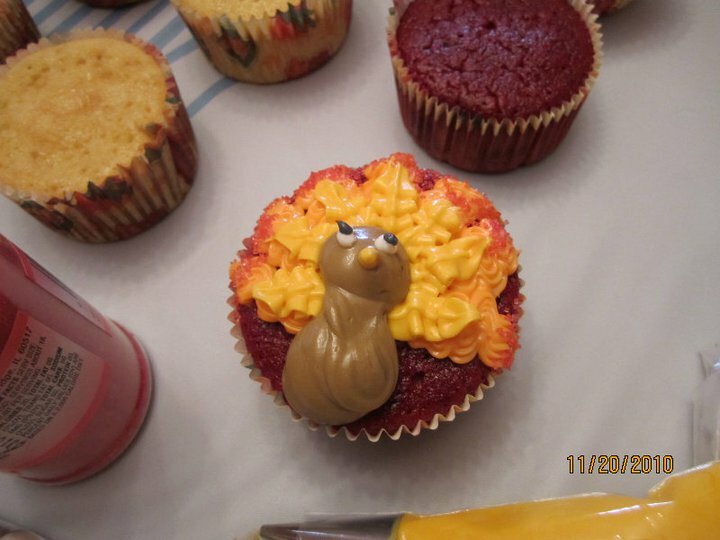 Last year I had 5 friends over the weekend before Thanksgiving and we made turkey cupcakes. It was great, we had a good time and everyone had a pre-made dessert to bring to the Thanksgiving table. I wanted to do it again this year but it just isn't going to work out. Oh my friends are interested and want to make them again but every one's schedules just don't permit it this year. 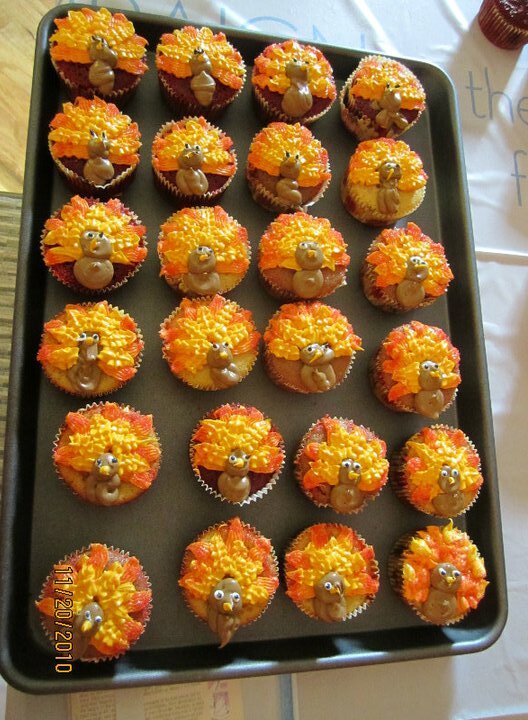 So I'll have a virtual Turkey Cupcake Making party instead. Here's what I'd serve this year if we were all able to get together. Last year a friend brought apple cider and we spiked ourselves. 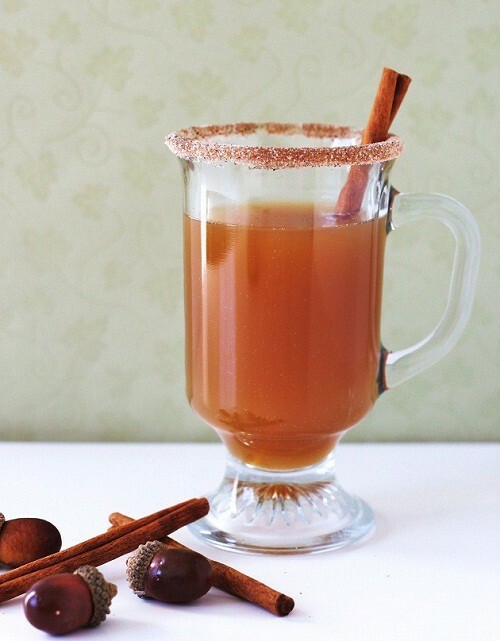 This year I would have made Spiced Apple Hot Toddy's . 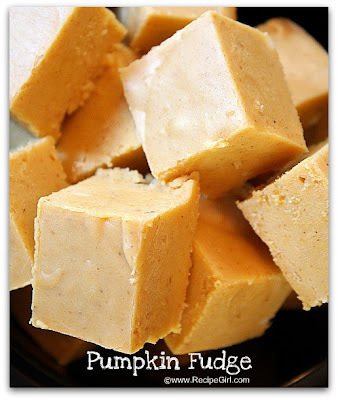 This great recipe comes from Celebrations at Home. And because we would be making these cupcakes for our families to enjoy on Thanksgiving and not for ourselves, oh who am I kidding, you know we'd have to Quality Control some :) I'd serve some tasty fall snacks to power us through all the decorating. 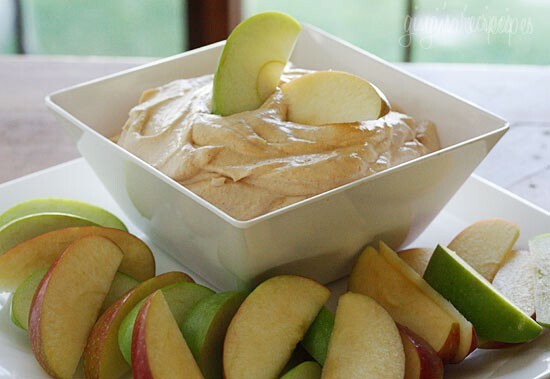 For a little healthyness, Pumpkin Pie Dip from Skinny Taste. Here's the turkey cupcakes we made last year. So cute! We did a little assembly line. One friend did the body, moved the cupcake to the next friend who added the feathers, than on to someone else for the eyes and nose and last, the sprinkles. The assembly line worked great and we busted them all out in no time. Everyone took a bunch. This is just one tray full. That was a fun time with a tangible result... how often does that happen? I gave some to neighbors, some to friends and of course kept a few for the house. It was fun! Sad we couldn't all make it work this year. Maybe next year will be a better year.